[DK GreenRoots] Great Post by citisven! Come on Over. Politics, Live and Unplugged (a photo essay to #DefendDemocracy. At one point I was talking to a college student from Ohio who said he wasn't political but felt like he needed to come out to learn more about what's going on in his country. I asked him what he was into and he said he was working on a permaculture project, getting his hands dirty trying to grow food. I said to him that what he is doing is in fact a political act, as our entire industrial food system as it exists today is the result of countless decisions made by all kinds of different people throughout the last century setting the gears not just on how we eat but how we relate to the very earth our eating depends on. My gifts of the season! From my heart to yours, may the rebirth of the sun, bring joy, happiness and grace into every cell of your being! 3. Are you ready to Honor YOUR Light? Gift of a huge discount to assist you in honoring your light and preparing for 2017! This is a huge saving. Simply place item in cart, add coupon code, click apply and the discounted price will automatically show. This is an immediate download of a class previously recorded. You can enjoy it over and over! P.S. Wishing you and yours a magical HolyDay Season, may it be Merry & Bright! [MMIT New Moon Manifesting Call -Golden Age Radiance! the energies of the Golden Age! your connect to your inner joy? on a magical journey to connect deep within to the purpose you were born for! I know most of us have not been active on DK for quite some time and therefore might not be aware that Linda is so ill.
We are trying to raise money for a portable oxygen machine, for clinical trials and living expenses. Much appreciated if you could help. 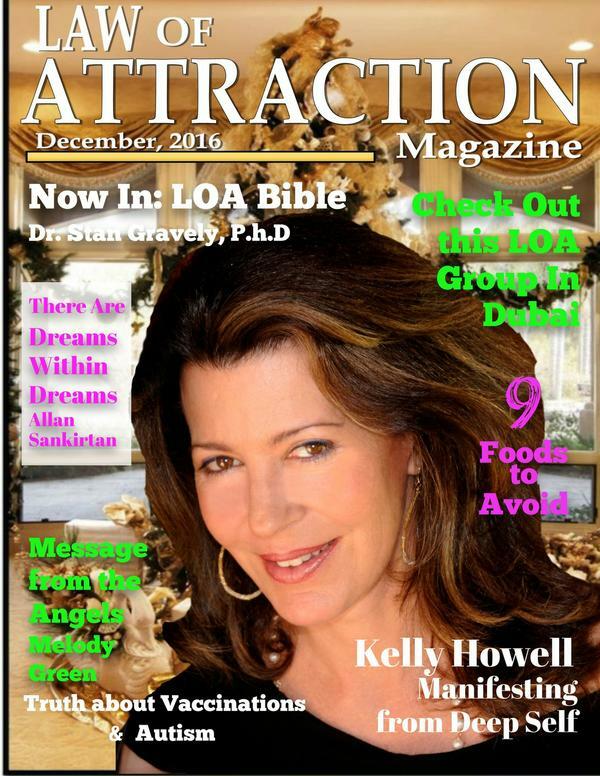 [MMIT Law of Attraction Magazine - the December issue is amazing! Check out this issue of the Law of Attraction Magazine! A new movie coming out on Dec 16th "Collateral Beauty" with Will Smith, Keira Knightley, Helen Mirren, Kate Winslet and other fabulous actors is shared in the magazine... This new Law of Attraction type movie is being labeled as better than "The Secret". There are some fabulous articles too!